The God-men are going to jail, standing at an arm’s distance away from each other. Like a train of toddlers being lead to the school bus that will take them home. Only this one takes them behind the bars. First goes the Guru ji and then follows his family tree. Babas are turning traitor to millions of followers who thought them messiahs descended upon Earth to deliver them from their intentionally committed evils. In the meantime time, the Trustees are laying low or holidaying in other countries. And the homely Swami ji teaching us breathing on national channels also seems to be aestivating in cooler climes. The donation boxes are being buried underground till further notice, with a secret ‘Shh’ marked on them in black ink. And for humble sinning souls like me, donating to God-men’s charity to ensure myself a place in Heaven is fast becoming a non-option. See, I never even noticed! Next time I get asked by the chap in a funny cap to donate, I am going to ask him a couple of questions! After all, I want to reserve for myself some choice real estate in Heaven, not some sidey location behind the ganda nullah. I learn't this the hard way once, and it was a facepalm moment for me..so no donations for me, but yes, i keep small eatables with me, which i give to poor kids, no one else gets a rupee out of me! This has been going on for quite a few years now... and the store that you mention pops that question even if your bill happens to be 141. I have not been attentive in other stores and shops... but it seems this has become a pesky practice. Pesky is the word, Arvind sir. I have come across this phenomenon only recently. 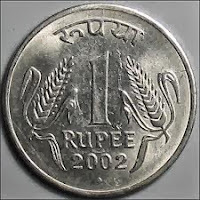 Perhaps, they have started asking the question recently and were deducted my very valuable Re 1 coins on their own before. God knows! Just doesn't fit my idea of charity. My answer to this question is always NO, because I have no clue as to whether the store actually keeps track of the money deposited in these boxes and whether it actually reaches the charity advertised. Instead I make donations to charities that I feel are worthy enough and are doing a decent job. Exactly my point. While, for the sake of satire, I portrayed myself here as buffoon in order to comment on aspects of society which irk me, I have never said a 'yes' to such questions. My charity works very differently. Really? I've never encountered anyone asking to put 1 Re. coin in charity. Is this a Delhi thing? So was this why you were asking us that question. Your point is very valid. This is a scam, isn't it? It could be a Delhi thing. If you ask them what it is about, they call secrecy their 'company policy. Please meet our manager.' Manager walks in in a tie and says this is how it is, madam. You are welcome to take your coin home with you if you want. Is it? Wow. So it is more wide-spread than I thought. Hm. If one starts, others follow close behind it seems.